How did I not see that coming? I can pick out somebody who has ADHD a mile away. After all, I am a single parent who raised a child with ADHD (predominantly hyperactive-impulsive) and ODD. I know all the signs and behaviors. Apparently, it is not so easy to see these characteristics in yourself. I thought I was just going through a bout of depression. It was a rough year; very stressful. 25 year old step-daughter with a prescription drug problem moved into our basement (which soon became very dysfunctional). And my 25 year old son who has ADHD just got arrested for robbing a gas station. With an original diagnosis of depression by my doctor, I was given an anti-depressant. Over the next year, there were several changes with the meds, all having no effect on me. By now, I felt like I was having a nervous breakdown. I was unable to complete sentences, little to no concentration, insomnia; I felt like my brain wouldn't turn off). Then......a simple conversation with my doctor about my son and his ADHD turned everything around. I was officially diagnosed with ADHD (predominantly inattentive). I was prescribed adderall extended release as well as well as a general dose for the afternoon. I am now able to concentrate, sleep better, have my motivation back. My thoughts aren't so overwhelming anymore. Looking back at my life, I am now able to put together all the pieces of the puzzle - My life now makes complete sense. My story has just begun; however my sons story started 26 years ago. We all know that parenting doesn't come with a handbook and even if there was, it wouldn't cover parenting a child with ADHD/ODD. 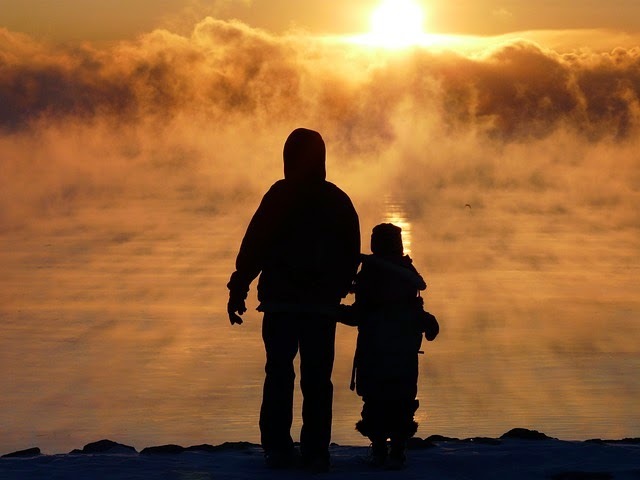 At the age of 19, I found myself being a single parent (in every sense of the word - my son's father was not involved physically or financially). The year before my mom had lost her long struggle with breast cancer and my dad was an abusive alcoholic. My life consisted of daily chaos and dysfunction. Being a single parent became part of the chaos. I was stressed out a lot - Always worrying about money, knowing that I now had a child to provide for. I first started noticing ADHD behaviors in my son when he was about 3. Frequent temper tantrums, not sharing with other kids, very vocal, etc. I just thought these behaviors were all due to the fact that I was a stressed out single mother. Grade school proved me wrong. I believe it was in 4th grade when it was brought to my attention that I might want to get my son tested for ADHD. He was falling behind the other kids in his class academically. He was "unofficially" tested by the school psychiatrist. I remember the doctor mentioning Ritalin at the time (which scared me to no end), but the issue was never pushed. He was then diagnosed with a learning disability and an IEP was set up. I can't say that the grade school years were easy; they weren't. There were a lot of screaming matches, struggles to get homework done, trips to the principals office. I had no idea what was in store for me when he started middle school. His behaviors became more pronounced. He started talking back to teachers, never turned in his homework, at least once a week I was getting a phone call from the principal's office. I though I was uneducated about ADHD - the school was even more uneducated. One teacher couldn't figure out why my son continually leave class to go to his locker for something he had forgotten. Even though we had an IEP that clearly stated he had ADHD, I would have to explain everything all over to each teacher he had. Somewhere between middle school and high school my son started running away. It started out with one or two nights at a time, then developed into two weeks. By this time I had begun to get fed up with the impulsive behaviors and started calling the local police to report him as missing. The straw that broke the camels' back was when I found out he had been taking my car out in the middle of the night. The police soon became involved in our lives on a frequent basis. During this time, we also had been assigned a social worker from the count; my son had skipped school for the majority of his freshman year. Having the social worker was actually a relief, it took a lot of stress off of me; finally we were going to get the help that was needed. At this time, my son was "officially" diagnosed with ADHD (predominantly hyperactive-impulsive) with a side order of ODD (Oppositional Defiant Disorder). In a nut shell, my son couldn't sit still very long, he acted on his impulses and refused to obey the rules plus he had a learning disability (math and reading were not his strong suits). Protection or Services). I had him placed in a group home. I felt that the group home would curb his criminal activity and we could finally get him to take the medication that he needed. This lasted a month...I received a phone call from the group home telling me that my son had been injured in a paint ball accident. The group home had taken the kids to the director's farm where they were allowed to play paint ball (fully supervised). Apparently, they were done playing, had their gear off and were walking back to the car. Another kid kept shooting at my son while they were walking back. My son turned around to tell him to stop....The paint ball hit him in the eye from 4 feet away. I immediately rushed down to pick him up. After a long year of painful eye doctor visits and two surgeries - the outcome was traumatic glaucoma, traumatic cateract and one permanently dilated pupil. This now meant he was unable to take any time of medication that would be effective for his ADHD. He never went back to the group home again. So....here we were, back to square one. The same impulsive behaviors were there. School was even harder - as we now were living in a different school district. I really got to know the school police officer throughout his high school years. He was not only in learning disability classes, but his behaviors had gotten so bad, they now placed him in the ED room (emotionally disturbed). In his junior year of high school I received a phone call that no mother ever wants to receive. A detective from the sheriff's department was calling me to tell me that my son had been involved in a burglary. I rushed home from work, was able to locate where my son was and turned him in the police. After all was said and done, my 17 year old was sentenced to two and half years in prison with five years of probation. While he was awaiting sentencing, the high school he attended decided to let him graduate even though he was a 1/2 credit short. They felt that because he was able to play basketball in gym, that would count as a 1/2 credit. My son had a sixth grade education at the time. So much for "No Child Left Behind". The day of sentencing, I explained my sons situation and asked for the state to give him help with his ADHD. I was assured by the Judge that my son would get all the help he needed while in prison. He ended up serving his time, however while on probation, there were many trips back to the county jail and prison for various offenses against his probation. with ADHD. In fact, to get any type of treatment assistance, you need to be sentenced to five or more years in a medium to maximum security institution. During the time he was on probation, there were numerous court dates for his probation violations. I attended everyone of these court dates and each time looked at the Judge and said "Your Honor, my son has ADHD, this is by no means an excuse, but rather an explanation, he is unable to control his impulses. Please help my son get the help that he needs." And each time, the Judge would look at me with a blank stare and tell me he will get the help he needs. My son once again has acted on his impulses and was sentenced to two and half years in prison with a two year probation period for robbing a gas station. This time, my son told the Judge that he had a heroine problem (which he does not). But, with a heroine problem, you can get some sort of treatment. I am hoping that with this treatment, my son will be able to some how apply it to his situation with ADHD. 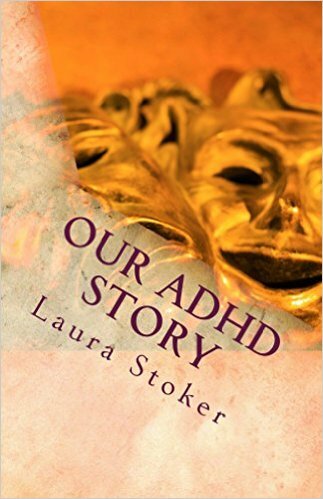 In the last ten years, I have learned a considerable amount about ADHD/ODD. ADHD is truly a "Hidden Illness". My son's doctor explained to me that teachers tend to not believe a child has ADHD because one minute they could be acting fine, the next they are bouncing off the walls. My son also does not want to come to admit he has ADHD and that where he is at right now is a result of his ADHD. In my son's case, I have noticed that every three months his impulsive behavior gets the better of him, which usually means he will be sitting in a jail cell somewhere. In all honesty, I feel a sense of calm when my son has to sit in jail or prison for a period of time. I know he's safe and not committing any crimes. I also see a difference in his behaviors when he's incarcerated. He thinks clearer, he makes good decisions. A controlled environment is the perfect setting for him....he doesn't have to make choices; it's all laid out for him. Unfortunately, our story doesn't end there. My 5 year grandson has ADHD. He certainly is his father's son; not only in looks, but behaviors as well. 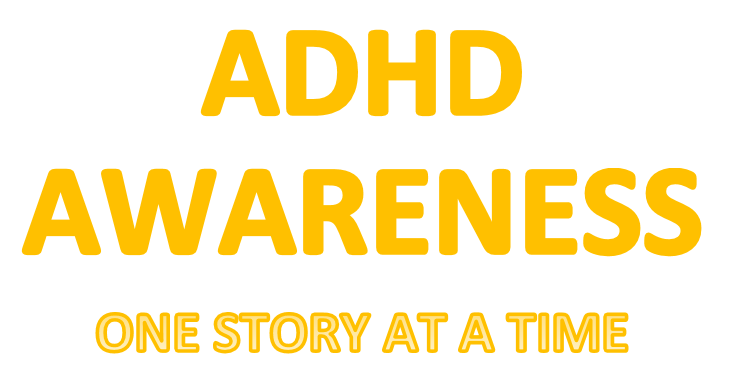 My son may not admit that his behaviors are caused by his ADHD, but he does recognize the fact that his son has ADHD. He is opposed to having him on any type of medication. My grandson's mother goes through stages of denial, but I truly believe she knows that he has ADHD, she just is not ready to accept it yet. I think they are both waiting for my son to be released to determine the steps they are going to take for my grandson. Every week I take my grandson to visit his dad in prison. We all feel it's very important for my son to be active in his sons life as much as possible. I guess we are all trying to make a dysfunctional situation as functional as we can. We will continue this routine for another year and then try to get through the 2 years of probation without incident. But....I know our story is not over and won't be over until society starts to accept ADHD as a real illness. My wish is that nobody falls through the cracks in the system as my son has. Schools need to implement new ways to teach kids with ADHD, rather than place them in a locked ED room. What can you cut out? "15 Things I Want You to Know About ADHD"
Raising a Child with ADHD: Tips for Parents.